I've not been able to use my 670 ft sky loop antenna with the KiwiSDR, as it causes overloading at night. I was using a homebrew splitter to pass the signal to both the KiwiSDR and netSDR. So I thought about it, and decided to make another splitter, but without the same number of turns on the two secondaries. Yes, this means the output impedance isn't correct for proper matching, but who cares, I have more than enough signal. 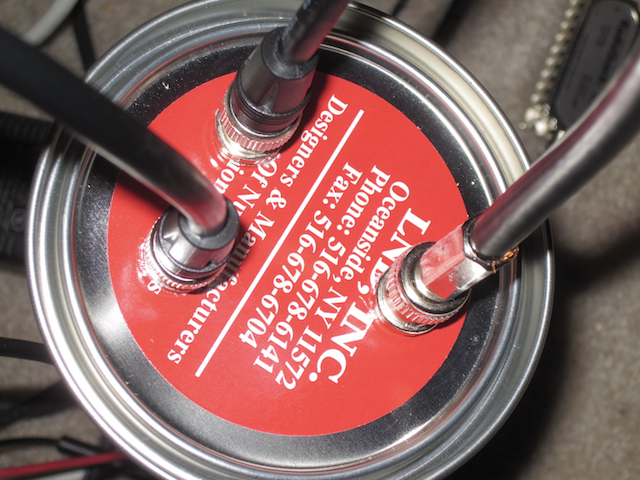 This splitter is wound on a binocular core, with 5 turns on the primary and one of the secondaries, and only 1 turn on the other secondary, which feeds the KiwiSDR. It seems to have solved the problem. I didn't notice any overloading early this morning on the KiwwSDR (just before sunrise when it is usually worst) and the netSDR still gets lots of signal. 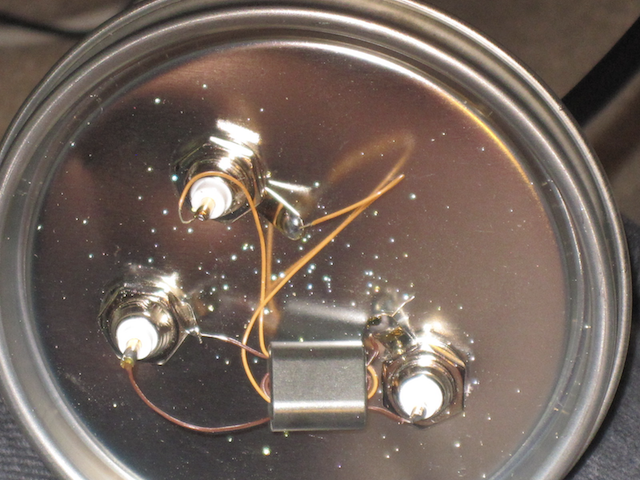 It is built on the underside of a pint size paint can lid, which is then placed on the can for shielding. Also, for us cheapies, using a cable tv splitter is an option for feeding multiple rx. On the splitters with more than two outs, often one will be more insensitive than the others and will be marked on the casing as such, this is the port you'd want to use for a rig that overloads.